On Tuesday, I will lead a presentation about the importance of newspapers in an era of “fake news” as part of the University of Texas Rio Grande Valley’s Festival of International Books & Arts. It is a similar — but updated — presentation I made last year. The concern then was the spreading of “fake news” stories, which was prevalent during the 2016 presidential campaign and may have impacted the outcome. It was a curious attack on the First Amendment. A free press is important to a healthy democracy and it is dangerous to call out the media as an adversary to the country. Peter Rasmussen is digital content editor for The Monitor. So keep reading newspapers. It is an important time in our history to consume fact-based information. Newspapers will give you reliable facts so that you can make informed decisions, especially when there is a consensus among U.S. agencies that Russia meddled — through a slew of disinformation and “fake news” — in the last presidential election. Many of us are guilty of sharing stories without investigating them first. A Pew Research Center survey found that 23 percent of Americans have shared “fake news,” which is an issue for more than just political stories. 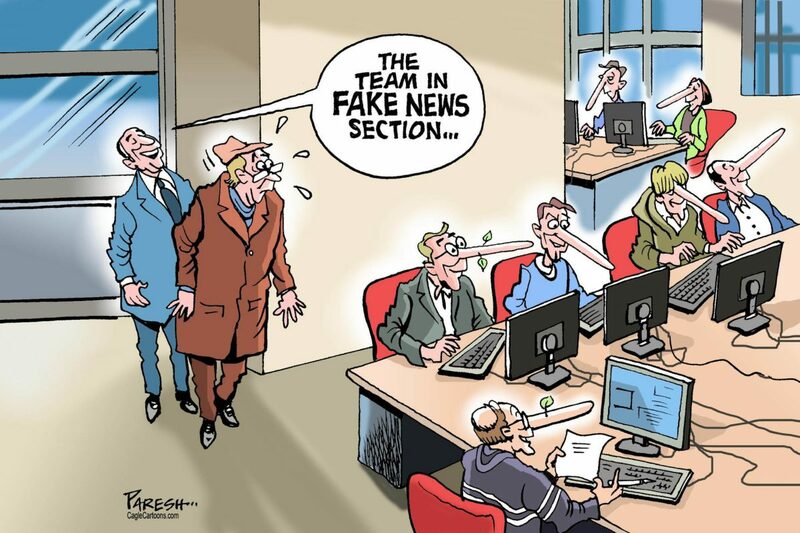 According to another Pew Research Center survey conducted in 2016, most Americans (64 percent) believe fake news stories make it difficult for people to separate fact from fiction. Media outlets work on ethical standards and newsroom rules that must be adhered to. Reliable news organizations aren’t going to produce stories based on rumor. It is our job, as media, to dig into stories and ask questions — whether he likes it or not. The media is doing what it is supposed to do: Working to provide fact-based information. Whether you are for or against construction of a border wall, you should want to know the details. How much will it cost? Who will pay for it? Will it work? What might be the economic/environmental impact for places such as the Rio Grande Valley? These are questions the media is trying to get answered. That’s not fake news and that’s not being an enemy to America. Trump has harshly pushed back against the media’s coverage of the potential ties between Russia and the president before his inauguration. That’s not fake news. Americans have the right to know if there was any wrongdoing. To be fair, Trump isn’t the only politician to take issue with the media. He’s just the loudest objector. During the Obama administration, nine cases involving whistleblowers and leakers were prosecuted, compared to only three by all previous administrations combined. According to The New York Times, the Justice Department under Obama monitored journalists’ phone records and issued subpoenas to try and force reporters to reveal sources. This only makes it more difficult for journalists to do their job and provide factual news. There have been some steps by social media outlets to combat “fake news.” Recently, a website, PuppetStringNews.com, produced a story that claimed the Russian source behind the Trump dossier was one of 71 people killed in a plane crash. The suggestion was that the plane was purposely brought down. According to Politifact, Facebook flagged the post as being potentially fabricated as part of the social media outlet’s efforts to clamp down on fake news on its site. Make sure you research where you consume your information and, best of all, you can fight “fake news” by reading newspapers in print and online. It is important during this divisive time in American politics to take newspapers seriously and to be informed through fact-based stories. Join me at 8 a.m. (Yes, that is early!) 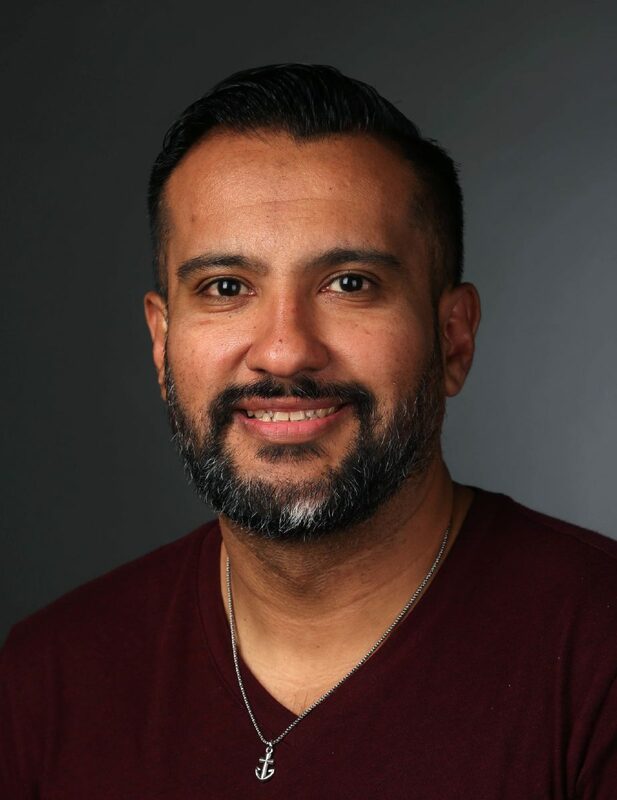 on Tuesday in Room 179 of the Liberal Arts Building South on the UTRGV Edinburg campus for a discussion on the importance of finding fact-based information/news from legitimate news organizations and websites in a sea of false online information. Peter Rasmussen is digital content editor for The Monitor. Contact him at prasmussen@themonitor.com.